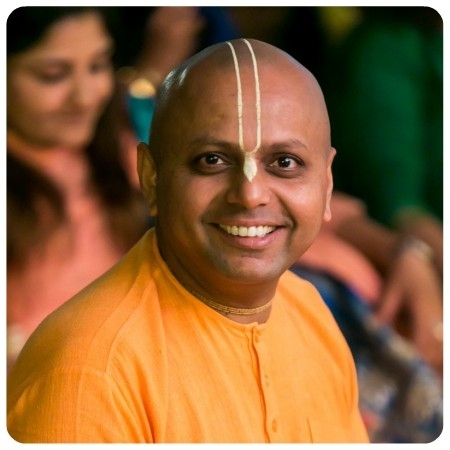 Mumbai, August 14: Despite OPEN and CLOSE being opposite words, we only OPEN our hearts to someone CLOSE to us says Gaur Gopal Das, an ISKCON (International Society for Krishna Consciousness) preacher while interacting with the devotees in a session of preaching. Also while giving this mantra, Das said Despite OPEN and CLOSE being opposite words, we only OPEN our hearts to someone CLOSE to us. A lot of pain can be handled when we have someone trustworthy to share our heart with. Tag someone CLOSE in whom you can OPENLY confide. Every person in this world wants to know the secrete behind success in professional as well as personal life. Having positive attitude is the key to achieving success in life,” said Das.